Cyclone Kleen Up offers mold removal and mold remediation services in Colorado. We are licensed by the State of Colorado as a General Contractor, and we can provide a FREE mold inspection, property loss evaluation, and detailed estimation for our mold clean up services. We also perform all on-site mold tests/collections for a professional examination with the largest environmental laboratory, so you should receive an independent opinion, as well as a confidential and professional report, for your mold situation. Our technicians have the expertise to extract contaminated water, remove water-damaged debris, professionally dry out and repair your residential or commercial property in a timely fashion. Call us at 719-299-3887. We will handle your emergency odor, mold and bacteria damage clean up and repairs promptly and professionally to your satisfaction and peace of mind. Contact us to start the job now. We will directly bill and communicate with your insurance company until the mold damage restoration job is done. We always focus on prevention treatment as well and that is how we will GUARANTEE our work. Work directly with your insurance company to file your claim. Perform mold removal, clean up, dry out and repair. Provide contents restoration and storage. Complete water damage restoration and mold remediation. Provide demolition, construction & reconstruction. Free Estimates & Free Inspections. State-Of-The-Art Inspecting, Drying, Cleaning and Monitoring Equipment. 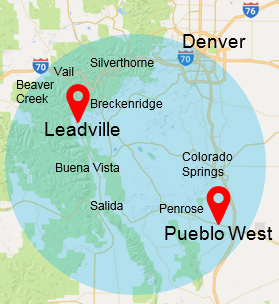 Our crews are available 24/7 to dispatch to your property in any Colorado service areas for mold removal, clean up, dry out and repair. Contact us now for mold remediation. Cyclone Kleen Up's mold clean-up and removal technicians follow our methodical and well-planned mold abatement and remediation process to clean up mold and repair your property to your satisfaction. We are certified and follow industry protocols and regulations to properly clean up and remove mold correctly and according to federal and state laws. Examine mold damage - We use advanced moisture-meter equipment to measure moisture in your floors, walls, ceilings, and cabinets. We then use infrared cameras to identify the origin and the extent of the damage. Extract, remove, and dry water immediately - Our mold removal professionals will perform Structural Drying and Structural Pasteurization by using a variety of commercial-grade equipment such as dehumidifiers, water, and moisture removal and extractors to dry out your floors, carpets, cabinets, and wall cavities to contain damage and abate mold spread and growth. All work-related activities to be monitored and documented daily to assure the quality and performance of our work. Secure affected area - To prevent mold spores from spreading, the contaminated area is sealed off using plastic sheeting. All floors are to be protected and sealed as well to prevent secondary damage. We then create negative air pressure to direct the mold away from indoor space. All crew members are to be protected by using professional protective equipment and follow industry standards and protocols. Specific needs of your family to be always discussed and accepted to avoid any possible inconvenience and discomfort. Dispose of affected components and materials – Some mold damaged or water damaged materials may need to be documented and disposed of, such as ceiling tiles; insulation; wall boards; carpet; soft furnishings; clothes; papers; and books. Non-porous metals, glass, and hard plastics may be cleaned and reused. Depending on the degree of mold damage, semi-porous wood may be cleaned up by drying, sanding, and treating with an environmentally safe anti-microbial solvent before reusing. Heating, ventilation and air condition system treatment - Your heating, ventilation, air conditioning, and crawl spaces will be dried, cleaned, and then treated with HEPA filtration to remove remaining mold particles. Whole house mold disinfection - To disinfect your home from mold spores, we use professional grade HEPA filtration machines and negative ions (electrically-charged particles) to remove airborne contaminants. All work is to be controlled and monitored by portable sensors so we will be in full control of all operations we perform. Mold damage repair and restoration - Cyclone Kleen Up has full-time professional mold and bacteria damage cleanup, repair, and restoration crews available to rebuild, repair, and restore your Connecticut home from mold damage and return it back to pre-loss condition by using safe products and certified professional equipment. Mold prevention – We will advise you of how to prevent this mold from affecting you again. Cyclone Kleen Up will always advise you to perform an additional FREE inspection with us one month after the mold remediation has been performed to confirm the safety and healthy condition of your home. Contact Cyclone Kleen Up today for FREE on-site estimates for mold removal and remediation in the state of Colorado. Call us today at 719-299-3887. Cyclone Kleen Up is local, Licensed, Certified and Insured service contractor available 24/7. You will be in very professional hands for your Mold Remediation project. Our dedicated restoration teams have RSA and IICRC training and extensive expertise in mold and bacteria remediation, trauma scene clean-up, radiology and toxicology analysis. We have been in the mold /bacteria abatement and remediation business for nearly 27 years and successfully performed dozens of projects for residential, public and commercial property owners for mold removal and remediation. Our knowledgeable mold removal technicians will alleviate your concerns with practical mold abatement information and answer your mold clean up questions to put your mind at ease. Contact Cyclone Kleen Up today to remove mold from your property. We have nearly 27 years in the water damage restoration and fire damage restoration business and have the experience to remove mold from your property. One call to Cyclone Kleen Up at 719-299-3887, and we will dispatch a mold remediation crew to your home or business to permanently remove mold. We get the job done fast and right the first time.